Are you interested in starting a winery? 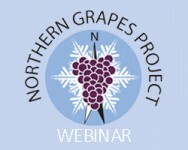 This webinar led by Lindsey Pashow, Ag Business Development & Marketing Specialist with Harvest NY will look at the current wine industry in northern NY and will include information on current wine sales, markets, winery establishment costs, licensing resources, growing grapes vs purchasing grapes or juice, winery building, and potential financial help resources. We will also go over using the Excel spreadsheets that are intended to help determine the cost of establishing a winery. This webinar information can be applied outside of the NNY region. Click here to register for this webinar. The webinar will occur through ZOOM.